Since I’m prepping my meal for the week, let me share what I’m making. I love fresh and homemade food, I’m not the best cook out there but I love to try. I can’t imagine eating dry burger patty. 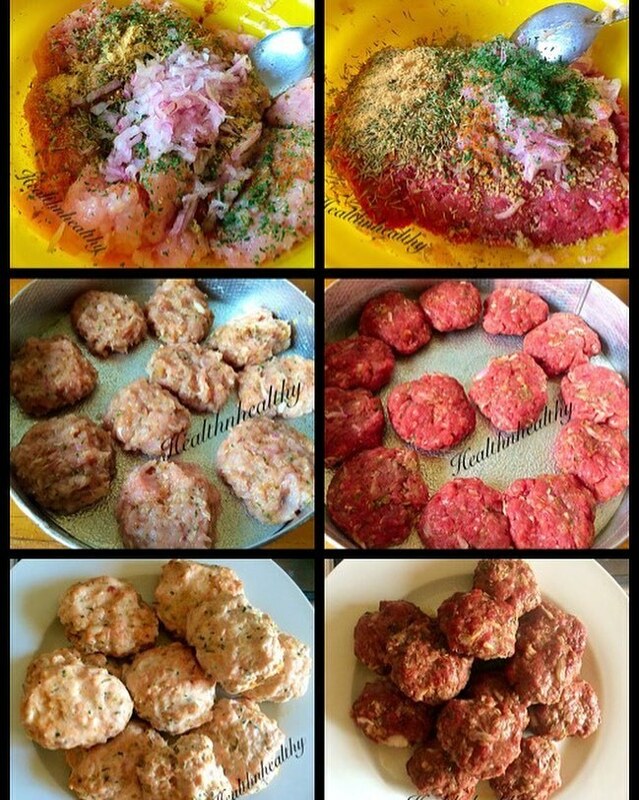 Its very simple to make juicy and tender patties. Add the ground beef and grates onions, stock cube, pepper, garlic, mix well. Break the meat up with your hands. Gently mix everything together until just combined. Do not overmix. Divide the mixture into desired portion sizes and form loose balls. Flatten the balls. Grease the baking pan or grill with cooking spray oil. (If you’re grilling:- grill the burgers, covered, until nicely browned on the first side. Or bake for 10 minutes. Flip burgers after 5 minutes and continue cooking for a few minutes more until desired. Buy your meat yourself then mince it, this way you’re sure of the meat has no skin or fat in it. I buy from shoprite and I beg them to mince for me…. they always help. Try this out, also know what you’re buying.